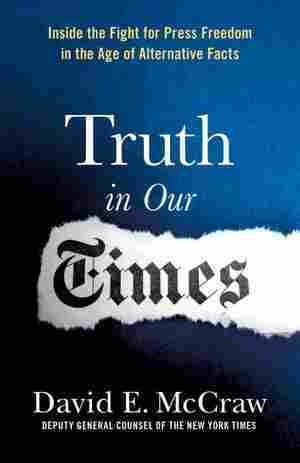 Truth in Our Times NPR coverage of Truth in Our Times: Inside the Fight for Press Freedom in the Age of Alternative Facts by David E. McCraw. News, author interviews, critics' picks and more. March 12, 2019  David McCraw of The New York Times talks about legal issues he's faced on the job — from the president's lawyer threatening to sue for libel to the decision to publish WikiLeaks documents.